Are you thinking about making an oil to gas conversion in Reading, MA? Is your oil heating system inefficient? Are expensive heating bills preventing you from spending money on other items? Does the odor of soot or oil linger in your home? Are you rearranging your schedule to be available for fuel deliveries? It is time for a new heating unit that will save you money, energy and space. 128 Plumbing, Heating, Cooling & Electric makes oil to gas conversions convenient because we explain the procedure and install each unit around the customer’s schedule. Most installations take no longer than five days, and many are completed in less time. Our clean, professional employees will come to your home, evaluate the extent of the work, assist with paperwork, complete installation and provide needed information for rebates. We will help determine whether you are eligible for rebates. Our customer satisfaction guarantee and our service contracts will help ensure that you will enjoy using your unit for many years. Oil to gas heating conversions can save you as much as 30& in fuel costs, so purchase a heating unit that does not use fuel that increases in price. Let our qualified, licensed technicians equip your home with oil to gas conversions in Reading, MA. 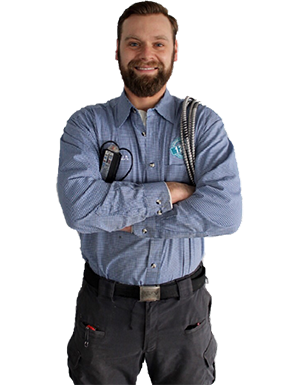 At 128 Plumbing, Heating, Cooling & Electric, we guarantee all of our work. You and your family deserve comfort, safety, and 100% satisfaction on every job. Rest assured we provide you with top quality work from the finest technicians in the area.